This week’s question: What is your one great hope for the summer movie season (and why)? I confess: the movie I’m most impatient to see falls beyond the Labor Day divide but this side of the autumnal equinox: Clint Eastwood’s “Sully,” scheduled for release Sept. 9. His previous film, “American Sniper,” was a story of youth and passion. Sully is a story of age and experience, and I’m very curious to see what kind of drama — what kind of life — Eastwood envisions around the few critical minutes that put the protagonist’s name in the history books. My antennae – or my hopes – are picking up vibes on the wavelength of “The Wings of Eagles.” We, and Eastwood, should be so lucky. “Sausage Party,” if only because I am dying for a summer blockbuster that doesn’t need superheroes or sprawling mythology or an entire “universe” to land with a tasty ol’ wallop. Few trailers in recent memory have made me laugh as much and as hard as the trailers I’ve seen for this one (including a long-form look at the animated outing that played at Cinema-Con earlier this year), and I am eager to see the film’s ambitious and very weird plotline translated to a full feature. Also, I have a lot of questions about spoiling (like, food spoiling, not of the “spoiler” variety) that I am very curious to have answered by animated talking food. A first love is a true love, a pure love, a love that never diminishes no matter where life’s warp engines take us. “Star Trek” was always there for me and I will always be there for it. “Star Trek Beyond” may be terrific, like the 2009 reboot, or it may be a misstep, like 2013’s “Into Darkness.” At this point in my life, it really doesn’t matter. One ceases to be a critic when camcordering a child’s ballet recital, and it’s time to accept that the last thing I can give while watching the USS Enterprise boldly go where no one has gone before is anything resembling a reasonable reaction. To that end, I’m eager for the third and probably last of the Chris Pine-led “Star Trek” films before the franchise returns to its more logical quadrant of the galaxy: Television. “Warcraft.” I would love to see this one join “John Carter” and “Jupiter Ascending” in the pantheon of pulpy, ornate blockbusters (that provoke negative reviews and garner little to no box office, but hey, maybe this one can have its orc cake and eat it, too). 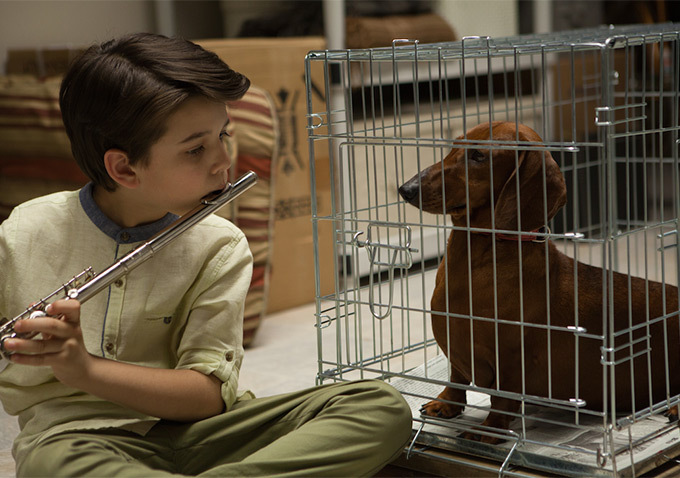 I’ve already seen a lot of the great indies coming out this summer, movies like “Weiner,” “Little Men” and Todd Solondz’s ultra-confrontational “Wiener-Dog.” So can I admit that I’m crazy with excitement over a big Hollywood film? It’s “The Conjuring 2.” The first one was such a rare beast: Big-budget horror done with panache and reserve. Old-school, solid as a brick shithouse. With director James Wan returning, I have high hopes. I’ve already seen it, and it’s “Hunt for the Wilderpeople.” By my lights, it’s a perfect summer movie: very funny; offbeat and weird but not self-conscious enough that a moviegoer just looking for a popcorn flick in an air-conditioned theater can’t enjoy it; full of unexpected moments; and also just “artsy” enough to please blockbuster-haters. And it possesses a heart and a brain, but neither of them in an overbearing, annoying way. I’m sending everyone who asks to go see it this summer. (Meanwhile I’ll be over here waiting with bated breath for “The Get Down”). Q: What is the best movie currently in theaters?